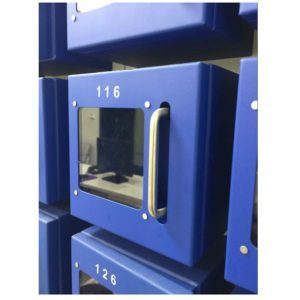 •Manufactured from high quality impact resistant plexiglass. 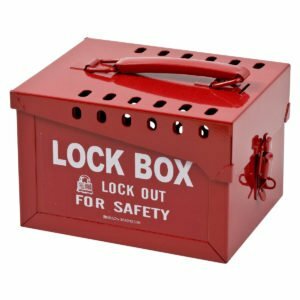 • Once padlock has been locked in any of the 27 perimeter lockout points the contents cannot be tampered with. 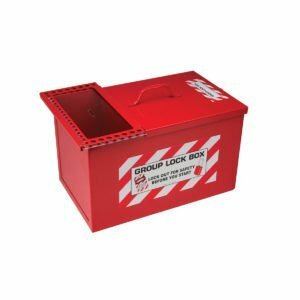 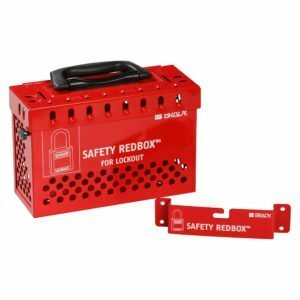 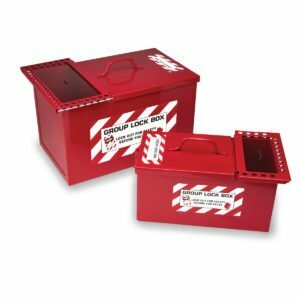 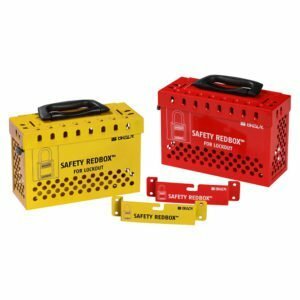 • This lockout box features a sliding lid that once closed, and with at least one lock fastened to the box, becomes virtually tamper-proof. 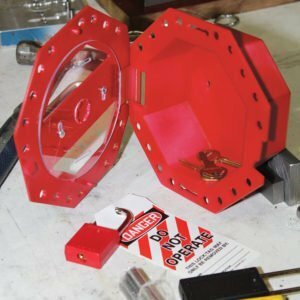 • A protection barrier has been added to protect the front seam between the lid and the box bottom to prevent removing a key illegally by prying or shaking. 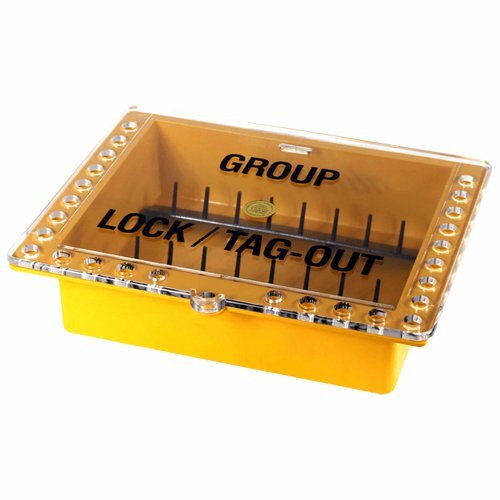 • The sliding lid Group Lockout Box offers 2 removable key hangers with 8 pegs each. 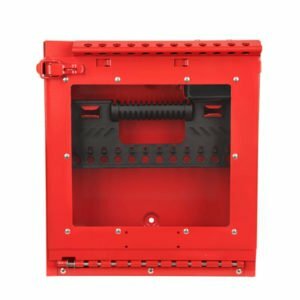 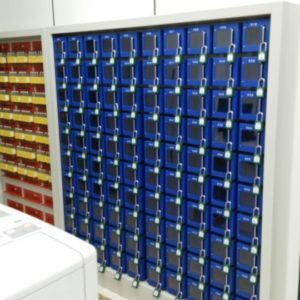 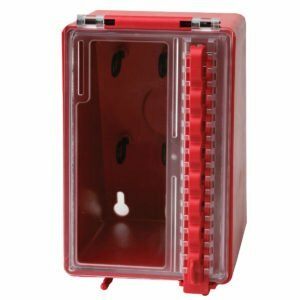 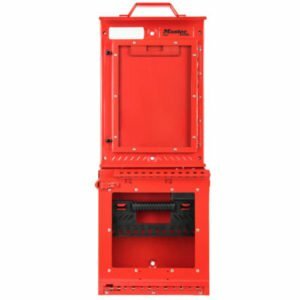 • It also has four 1/4 diameter mounting holes on 9-3/8 centers and a 1/8 key slot at the top of the lid for additional lockouts once a major shutdown has started.